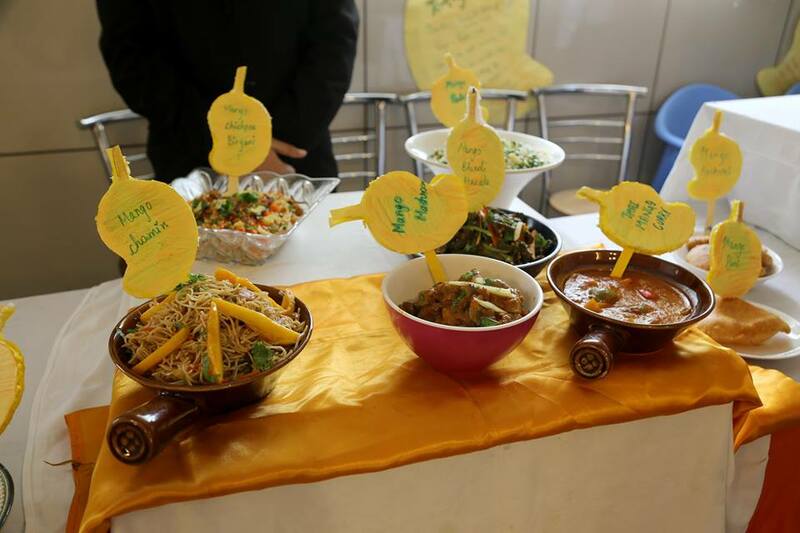 Mango lovers in the town got a treat at Dawat_E_Aam – The Mango Food Festival organized by the Faculty of Hospitality at GNA University. The festival was graced by the auspicious presence of S. Gursaran Singh- Chancellor, S. Gurdeep Singh Sihra- Pro-Chancellor, Dr Prem Kumar- Vice-Chancellor, Mr. K.K. Sardana – Director of Sukhjeet Starch Industry, Mr. Manish Kaura – Chief Surveillance Officer. Attendees were treated to historical and educational information as well as samples of a variety of mangoes and mango products. In addition to the numerous varieties, food, drink and craft items made from the fruit were on display.